You hear a lot of “new year, new you” chatter around this time. And although I like the sentiment of making resolutions to improve your life and update something in your world that could use extra time and energy, I like to think that it’s not a new me doing these things, it’s the same me with an improved mindset. This year, my resolution is to take at least 5 minutes to myself every day. To lay down on my yoga mat, stress relief oil burner on, feet up in the air, left hand on my heart, right hand on my stomach and really feel grateful for the moment and the day that I just had. Even when I don’t have time to do an entire yoga practice, I’ve found that taking a few minutes to do some deep breathing, stretching out the kinks, and thinking about of the things I’m thankful for can significantly help my mindset and can make me feel better even during a hard day. But often times I don’t make “time” for it, when the reality is I always have 5 minutes. Always. 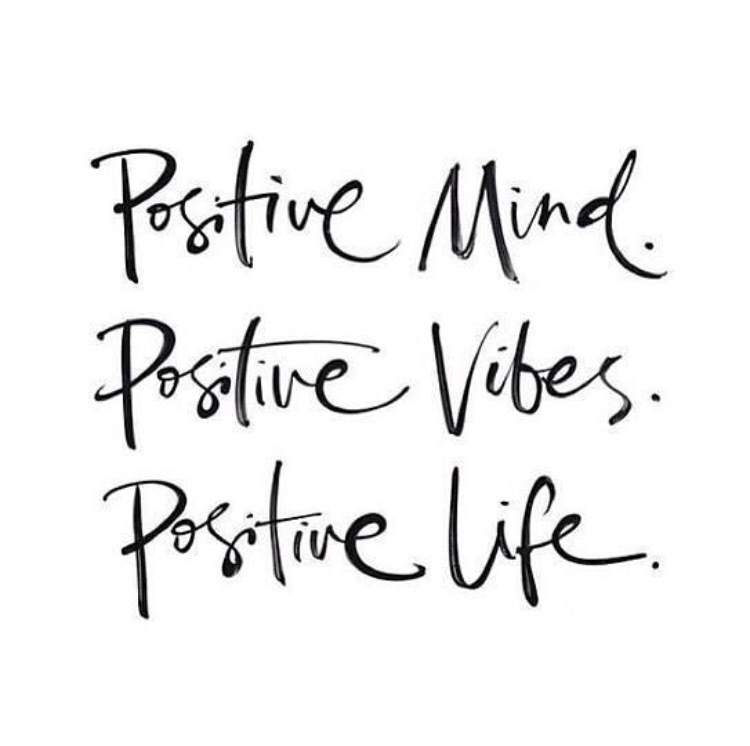 And as the quote says, I firmly believe that a positive mind moves to positive vibes and makes a positive life. So whatever your resolution is for 2016, I hope you stick with it and make it a positive change in your life. But do you, you’re beautiful just the way you are!